Everyone initially thought JJ Abrams would return to direct the 4th installment, but he's only producing. Rumors swirled that Incredibles director Brad Bird would be directing, but many scoffed that those were just rumors. However we now know that Bird will in fact direct. How do we know you ask? From the egotastic Tom Cruise himself. Cruise tells Empire magazine that Brad Bird is on board. He said, "We’re working with Brad right now. I don’t know if I’m allowed to talk about it but everything’s signed... Brad is doing it." Cruise also told the media outlet about some of the options Paramount was looking before Bird officially signed on to direct. He said that both Edgar Wright (Shaun of the Dead) and Ruben Fleischer (Zombieland) had been considered. One thing with the Mission: Impossible movies that has remained constant is brilliant directors. Unfortunately, said directors have not all presented as esteemed films as their illustrious catalog of film. 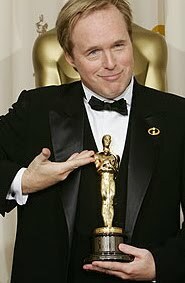 So I find it hard to get too excited about Brad Bird coming into the picture. I mean Brian De Palma, John Woo and JJ Abrams are all directors I admire, but the end product of their Mission: Impossible flicks is just so-so. I hope M:I-IV is different, but for now I remain very skeptical how good this movie will turn out. 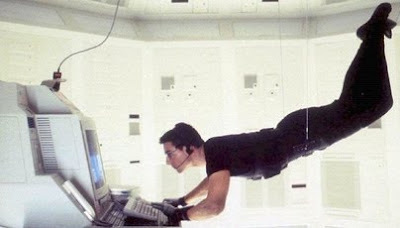 The second bit of news coming out of the "Mission: Impossible IV" camp is the release date shift. Paramount has bumped the action from a May 17th release to December 16th, 2011. What else do we know about M:I-IV? Not much. JJ Abrams hired Alias writers Josh Applebaum and Andre Nemec to pen the first draft. Ethan Hunt (Tom Cruise) will once again be a major character in the 4th feature which just so happens to be pitched as a "reboot." What exactly is meant by reboot has yet to be defined along with what has been described as a "really cool idea," for the 4th action thriller.